The next adaptation program began at "FAB Boya"
Pupils of the Lyceum "Zirva" in "FAB Boya"
Pupils of the Khirdalan City Secondary School No. 1 visited the company "FAB Boya"
POLYESTER PUTTY can be applied on metal, aluminum, galvanized steel surfaces as well as wooden surfaces painted earlier. POLYESTER PUTTY can be sanded in 20-30 minutes after the application. Cab be easily used in the kitchen, bathroom and other similar places. Appropriate for use on stone, porcelain, ceramics or baked clay tiles. It is not recommended to use on granite, marble or mosaic surfaces, as it might affect the brightness of the top surface. Does not hurt stainless metal and plastic surfaces. PACKAGING: 0.5lt. plastic spray boxes. Adheres polystyrene insulation boards, including filling the smaller gaps that may appear. Adheres construction materials, mainly wood to concrete, metal and other materials. When needed minimum swelling of foam. Door and window frames installation and isolation. Suitable for use on wood, plastic, metal, glass and rubber surfaces. For quick hardening FAB 123 adhesive should be used in conjunction with spray FAB 123. This will reduce the drying time. FABKIM HIDROSTOP 510 is used as a material, protecting the absorbent surfaces without any cracks, from pollution and blooming. It provides the water insulation of such unpainted materials as stone, brick, tiles, aerated concrete, travertine, cement and plaster, concrete, marble, stone cladding, granite, baked earth and other natural surfaces, protects the historical monuments' surfaces against atmospheric effects. Surface should be cleaned of spilled paint and unstable parts, blooming, oils and dust; it should be dry, unpainted and stable. There should not be wet spots on the surface. Big sized cracks should be repaired with special repairing putty. Do not apply on frozen, melted surfaces and on surfaces exposed to freezing within 24 hours. Apply FABKIM HIDROSTOP 510 without thinning with the help of spray, roller or brush until the surface became saturated. Apply FABKIM HIDROSTOP 510 in two or three layers waiting max. 4 hours between each layer. Pay attention that the material does not flow. As it is difficult to clean the material bouncing around while applying, it is recommended to cover glass, wood and metal window and door frames. If there are plants in the area they should be covered by the cellophane. FABKIM HIDROSTOP 510 should be protected against fire and sparks. Protective glasses and gloves are recommended while using. The material should be protected from rain until drying. FAB CELLULOSIC THINNER (161) can easily be used in all kinds of cellulosic products, particularly in FAB cellulosic products. In addition, it is used in cleaning the tools and equipments used in the application of cellulosic products and also in preparing of nitro cellulosic solution. Add the necessary quantity to the cellulose-based paints and varnishes and mix. Close the lid tightly after use. FAB CELLULOSIC BRIGHT PAINT (158) is easily used in furniture industry on metal and wood surfaces. New metal surfaces subject to be applied should be cleaned of mud, rust and oils then primed with FAB SYNTHETIC ANTIPAS (140) or FAB CELLULOSIC PRIMER. On wooden surfaces in order to get smooth surface it is needed to sand the surface lightly and apply FAB CELLULOSIC FILLING VARNISH (157). Sanding lightly once more apply FAB CELLULOSIC BRIGHT PAINT (158) mixing in 1:1 ratio with FAB CELLULOSIC THINNER (161) until getting homogeneous solution and apply with a pistol in 2-3 layers with interval of 20-30 minutes between each layer. Clean the used tools with FAB CELLULOSIC THINNER (161) immediately after use. FAB TAVAN (360) is used as a finishing paint on interior ceilings of buildings and on the ceilings previously painted and lost their color. The surfaces prior to the application should be cleaned of dust, dirt and oils, roughness should be smoothed and the surface should be dry. Wait 4 weeks before painting the newly concreted ceilings. Cement based and plasterboarded internal ceilings being painted for the first time should be treated with FAB BINDER (340) mixed with water in 1:7 ratios (1 ratio of FAB BINDER (340), 7 ratios of water). Then wait at least 5-6 hours and apply putty for interior repairs. After the ceiling has completely dried wash the surface with FAB BINDER (340) mixed with water in 1:7 ratios once again. Wait at least 5-6 hours after washing and apply with brush or roller FAB TAVAN (360) mixed with water to 30% for the first coat, and 20% for the second one. Wait at least 5-6 hours between coats. If needed the third coat can be applied the same way as the second one. 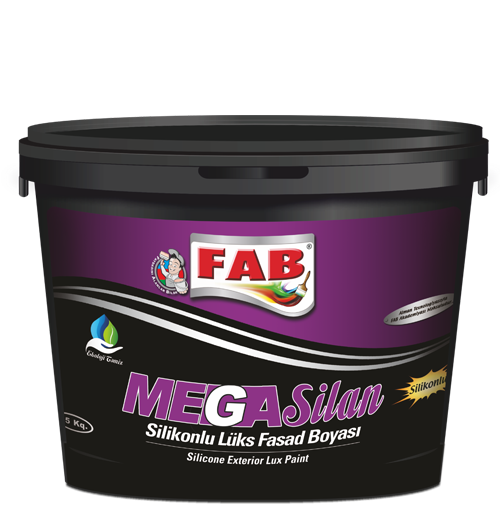 FAB SILAN (321) is used as a finishing paint on exterior walls of buildings, on the surfaces previously painted and lost their color, on the surfaces with pasted sub-surface preparation. It also can be used as a decorative paint in interior walls. The surfaces prior to the application should be cleaned of dust, dirt and oils, roughness should be smoothed and the surface should be dry. Wait 4 weeks before painting the newly pasted surfaces. Cement based and plastered internal walls being painted for the first time should be sanded with emery paper to clean the rest of the sand grains. If before the application there appeared the salinization on the surface it should be cleaned with automobile brush and then treated with FABKIM HIDROSTOP 500 mixed with the same ratio of water. Wait 24 hours and apply FAB BINDER (340) mixed with water in 1:7 ratios (1 ratio of FAB BINDER (340), 7 ratios of water). 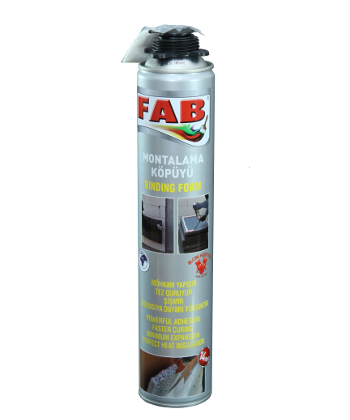 Wait at least 5-6 hours and apply FAB ACRYLYC PASTE (350). After the wall has completely dried (it can be sanded if needed) wash the surface once again with FAB BINDER (340) mixed with water in 1:7 ratios. Wait at least 5-6 hours. The application of the primer FAB SILAN ASTAR (342) will help to reduce the consumption of the paint. Apply with brush or roller two coats of FAB SILAN (321) mixed with water to 15% for the first coat, and 10% for the second one. If needed the third coat can be applied the same way as the second one. Protect the surface from freezing and rain; do not apply under the direct sun rays and in windy weather. FAB SIL (309) is used as a finishing paint on interior walls and ceilings of buildings, on the surfaces previously painted and lost their color, on the surfaces with pasted sub-surface preparation, paintable wallpapers. The surfaces prior to the application should be cleaned of dust, dirt and oils, roughness should be smoothed and the surface should be dry. Wait 4 weeks before painting the newly pasted surfaces. Cement based and plastered internal walls being painted for the first time should be sanded with emery paper to clean the rest of the sand grains.If before the application there appeared the salinization on the surface it should be cleaned with automobile brush and then treated with FABKIM HIDROSTOP 500 mixed with the same ratio of water. Wait 24 hours and apply FAB BINDER (340) mixed with water in 1:7 ratios (1 ratio of FAB BINDER (340), 7 ratios of water). Plasterboard surfaces must be treated the same way with FAB BINDER (340). Wait at least 5-6 hours and apply putty for interior repairs. After the wall has completely dried it should be sanded and wiped with a dry cloth. One more time wash the surface with FAB BINDER (340) mixed with water in 1:7 ratios. Wait at least 5-6 hours and apply with brush or roller FAB SIL (309) mixed with water to 25-30% for the first coat, and 15-20% for the second one. Wait at least 5-6 hours between coats. If needed the third coat can be applied the same way as the second one. 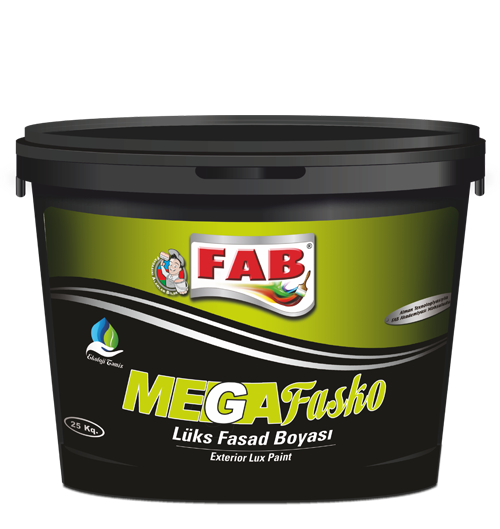 FAB PLUS (301) is used as a finishing paint on interior walls and ceilings of buildings, on the surfaces previously painted and lost their color, on the surfaces with pasted sub-surface preparation and paintable wallpapers. The surfaces prior to the application should be cleaned of dust, dirt and oils, roughness should be smoothed and the surface should be dry. Wait 4 weeks before painting the newly pasted surfaces. Cement based and plastered internal walls being painted for the first time should be sanded with emery paper to clean the rest of the sand grains.If before the application there appeared the salinization on the surface it should be cleaned with automobile brush and then treated with FABKIM HIDROSTOP 500 mixed with the same ratio of water. Wait 24 hours and apply FAB BINDER (340) mixed with water in 1:7 ratios (1 ratio of FAB BINDER (340), 7 ratios of water). Plasterboard surfaces must be treated the same way with FAB BINDER (340). Wait at least 5-6 hours and applyputty for interior repairs. After the wall has completely dried it should be sanded and wiped with a dry cloth. One more time wash the surface with FAB BINDER (340) mixed with water in 1:7 ratios. Wait 5-6 hours after washing. Apply with brush or roller FAB PLUS (301) mixed with water to 20-25% for the first coat, and 10-15% for the second one. Wait 5-6 hours between coats. If needed the third coat can be applied the same way as the second one. FAB PLASTIC (300) is used as a finishing paint on interior walls and ceilings of buildings, on the surfaces previously painted and lost their color, on the surfaces with pasted sub-surface preparation, paintable wallpapers. The surfaces prior to the application should be cleaned of dust, dirt and oils, roughnesses should be smoothed and the surface should be dry. Cement based and plastered internal walls being painted for the first time should be sanded with emery paper to clean the rest of the sand grains and treated with FAB BINDER (340) mixed with water in 1:7 ratio. 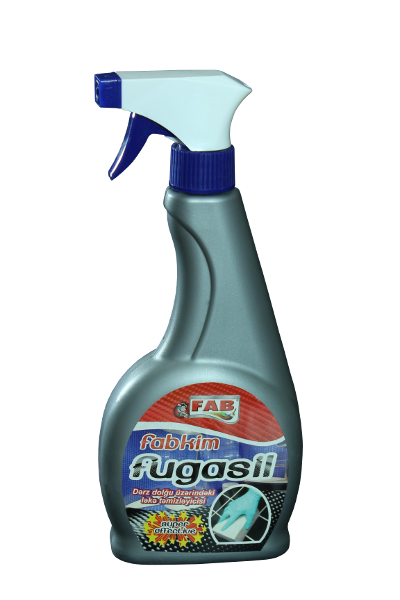 Wait 4 hours and apply FAB AKRİLİK MƏCUN (350). After the wall has completely dried it should be sanded and wiped with a damp cloth. One more time wash the surface with FAB BINDER (340) mixed with water in 1:7 ratios. Wait 4 hours after washing. Apply FAB PLASTIC (300) mixed with water to 20-30% for the first coat, and 10-20% for the second one with brush or roller. Wait 2 hours between coats. If needed the third coat can be applied the same way as the second one. If before or after the application there appeared salinization the surface should be cleaned with automobile brush and then treated with FABKIM HIDROSTOP 500 mixed with the same ratio of water. Web-site created by "Leading Group"